I see a calm strength in this horse. The horse's name is Shae Riley. 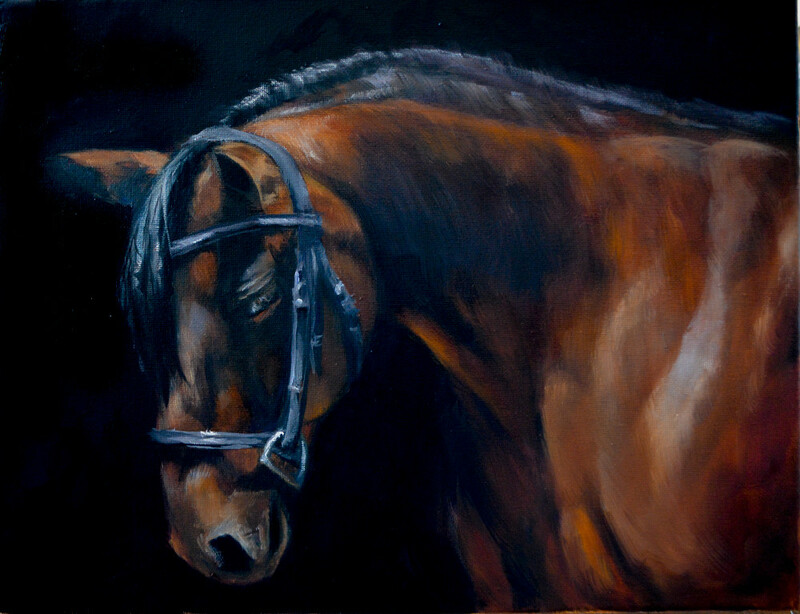 When I painted this piece the whole time I kept thinking about how thoughtful the horse appeared, she has an inner strength and dignity that showed through her posture. She is elegant.